The release of Dan Wilson’s long-awaited solo debut album, Free Life (on the American Recordings label) caps a busy and productive year for the veteran singer/songwriter. 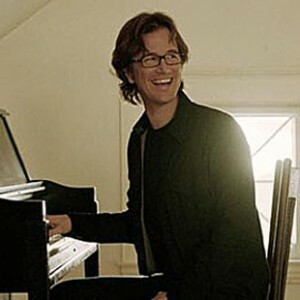 In February, the longtime frontman for the popular alt-rock band Semisonic joined his co-writers the Dixie Chicks in winning the coveted Grammy award for Song Of The Year. ‘Not Ready To Make Nice,’ an emotional, pointed response to the country music industry’s shunning of the group after singer Natalie Maines’ controversial comment about President Bush in 2003, also won Record Of The Year and Best Country Performance by a Duo or Group With Vocal. The Dixie Chicks’ album, Taking The Long Way, which featured a total of six co-writes by Wilson, also received Album Of The Year honors. Despite this success, MCA Records dropped Semisonic after their 2001 album All About Chemistry, putting the band on what has officially become a long-term hiatus. Wilson then began focusing his energies on recording his solo project and began writing and producing for other artists. He has produced albums for Mike Doughty, Epic Hero, The New Standards and Storyville and has written songs with Jewel, Jason Mraz and Rachael Yamagata. Wilson hooked up with the Dixie Chicks via Rick Rubin, who produced Taking The Long Way and is the executive producer of Wilson’s Free Life album. Wilson says that the first session with Maines, Emily Robison and Martie Maguire went very well and by the end of the day, they had quite a bit of their first song, ‘It’s So Hard,’ started. During some of their casual conversations, he was impressed with the way they were discussing their so-called political misfortunes. In addition to being completely ostracized by Nashville and the country fans that made them stars after Maines made anti-Bush comment at the start of the Iraq War, they also received tons of hate mail and even a death threat. Wilson liked the fact that despite all this, the Chicks were optimistic and united in their desire to forge ahead. ‘I suggested we write a song that would express their unity and address the reality of our country being so politically divided,’ Wilson says. ‘They liked my idea for ‘Undivided,’ but then Natalie asked if that meant they had to forgive the people who treated them badly. I said, well, maybe for the sake of the song. Natalie waved her hand and said nope, and that got me thinking. I woke up the next morning and had the idea of ‘Not Ready To Make Nice’ in my head. It was clear they wanted to go in the direction of being defiant, not backing down just yet and standing their ground. We got together and started tag-teaming. We brainstormed together, then went off and came up with some ideas individually. Sometimes we were talkative and sometimes quietly contemplating. Then Martie had to leave for a time and Natalie and I wrote the bridge that accelerates the song together. Rick Rubin signed Wilson to his American label based on the tracks Wilson completed at his home base in Minneapolis. He offered to either release the tracks as they were or work on some of them and make them even better – an offer which appealed to Wilson, who felt he could benefit from the legendary pop/rock producer’s expertise. ‘Rick was very hands-off on songs like ‘Sugar’ and ‘All Kinds,’ and he made only a few simple suggestions for improvement. Other songs like ‘Cry,’ however, are very different from what I first recorded. But I felt I had a very specific gap in my knowledge about recording, particularly when it came to overdubs, and he instinctively knew how to get a great vibe and performance out of me, as he’s done with so many others. What’s great about Rick is that he comes at this as a great music lover with the point of view of appreciating and loving the artist.